Class of 1979. 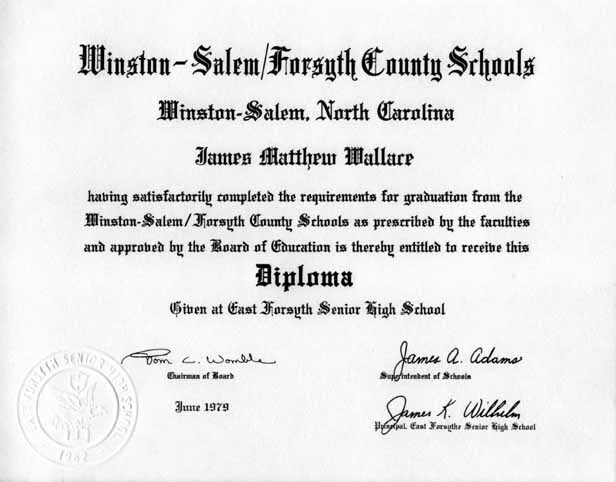 Ironically, the diploma has a spelling error, albeit a small one! apparent in the close-up below. "Forsyth" as in "County of" does not end in "e."